Manhattan District Attorney Cyrus R. Vance, Jr., joined by Chief Judge Jonathan Lippman, today announced the opening of the Mental Health Court at 100 Centre Street in Manhattan. This is the first Manhattan court dedicated to handling the non-violent cases of defendants with serious and continuing mental illness. The Mental Health Court is located within the New York State Supreme Court, with Justice Juan Merchan presiding. Cases will be referred to the Mental Health Court by different sources: judges, prosecutors, defense attorneys, the Department of Probation, mental health personnel within the Department of Corrections, mental health agencies, law enforcement agencies, and others. Mental Health Court applicants will receive a psychiatric evaluation prior to acceptance in the court. To qualify, a defendant must be diagnosed with a serious mental illness such as bi-polar disorder, schizophrenia, or major depression. The defendant’s mental illness must have a significant impact on their ability to function socially and have contributed to their behavior that resulted in the arrest. Participation is voluntary but in order to be eligible a defendant must enter a guilty plea and agree to a course of treatment in lieu of incarceration. The defendant is admitted into the program after the Mental Health Court determines that the defendant’s behavior can be stabilized through a community based treatment. These treatments look both to the defendant’s needs and to public safety concerns when making determinations about participation in the program. 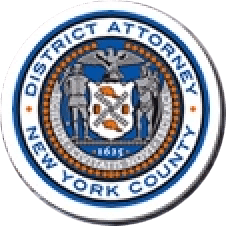 The Manhattan District Attorney’s Office will have the ability to not approve a defendant’s acceptance into the program. Any potential sentence will be deferred until the defendant completes the treatment and any other conditions mandated by the court. The Mental Health Court will closely monitor the defendant’s compliance with the selected treatment. The treatment programs generally run between 12 to 24 months with exact timing depending on the progress of the defendant. The defendant’s participation is voluntary, and he or she may withdraw from the program at any time prior to the entry of a plea. District Attorney Vance thanked Chief Judge Lippman, the Administration for Court Services, the Center for Court Innovation, the New York City Department of Health and Mental Hygiene, the New York City Office of Forensic Behavioral Sciences, and the Federation of Employment and Guidance Services. In addition, District Attorney Vance thanked Judge Judy Harris Kluger and Justice Juan Merchan, and Assistant District Attorney Trish Bailey, Bureau Chief of Special Litigation Unit and Assistant District Attorney Maureen O’Connor, Deputy Bureau Chief of the Special Litigation Bureau, and Karen Friedman Agnifilo, Chief of the Trial Division.